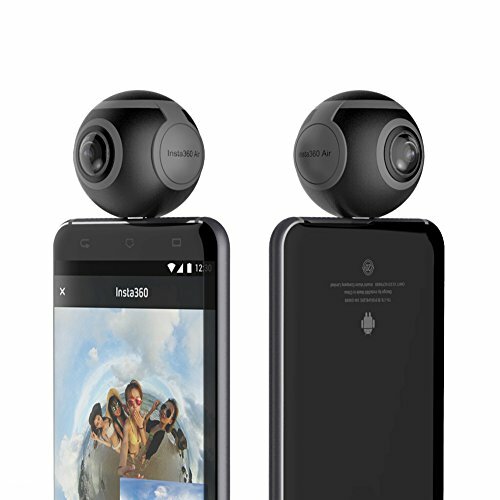 Insta360 Air 360 VR Video Camera for Android - Moar Stuff - You don't need it but you know you want it. 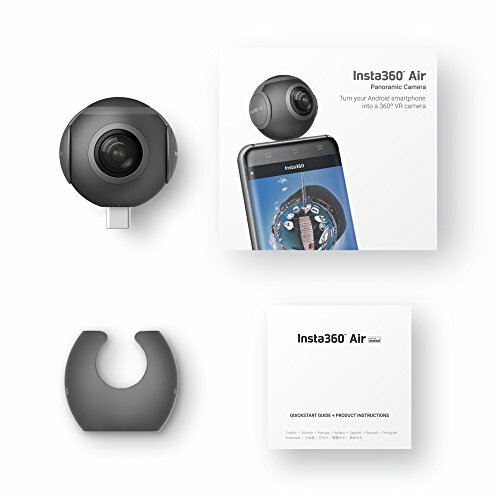 The Insta360 Air 360 VR Video Camera for Android lets capture all your cherished moments with 360 views/video recording without busting your wallet. 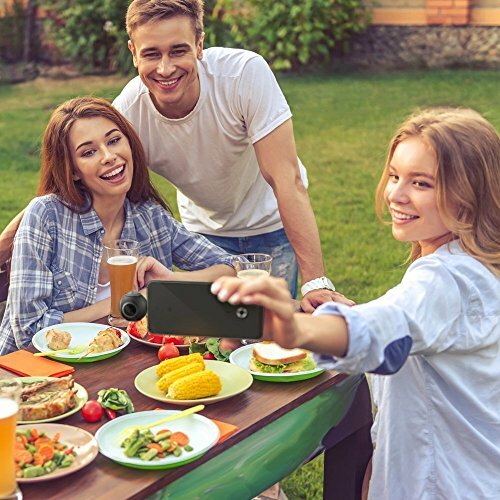 This spherical camera is portable and users can produce remarkable audio and videos by simply attaching it to mobile phone. 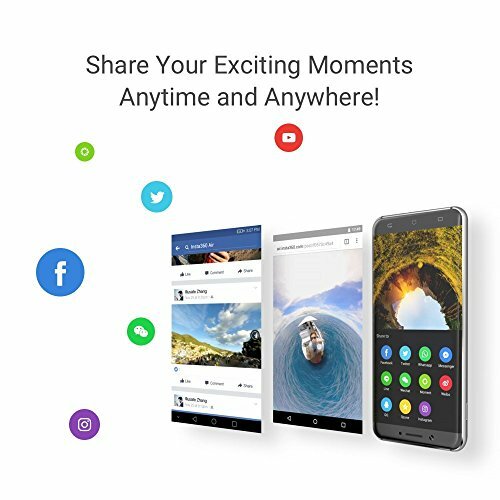 It’s for people who want to create 360-degree video for social networks or just have cool 360-degree videos and pictures for themselves. 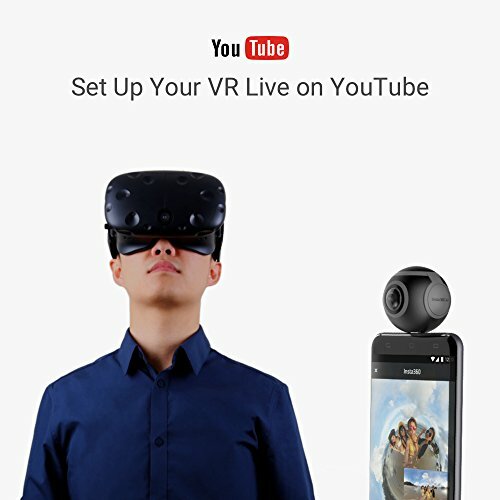 Pair it with a set of VR goggles and you can virtually revisit anywhere you’ve been anytime you want. 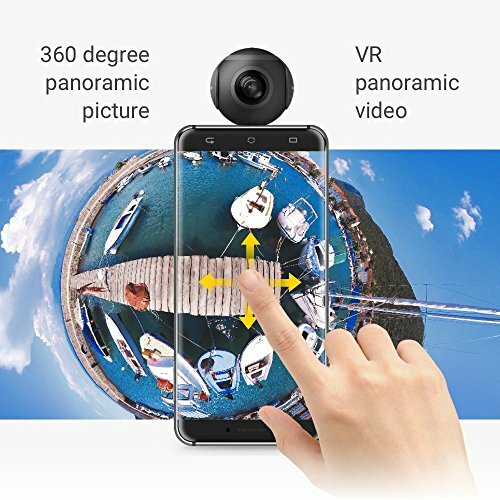 Designed to connect to most Android phones, this system allows for real-time 360 video/photo capture. 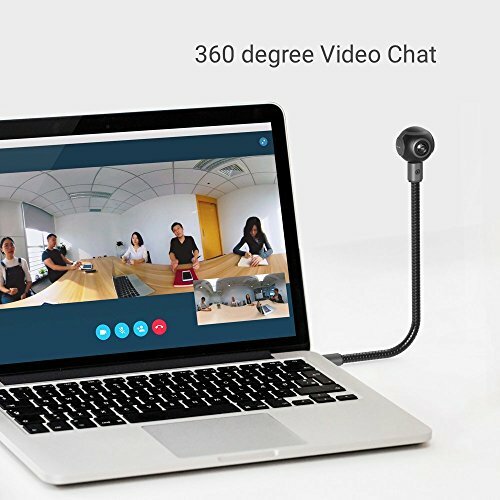 Better yet, it can let you live stream on Facebook, YouTube, Twitter, WhatsApp, Messenger, WeChat in 360 degrees. How cool is that? 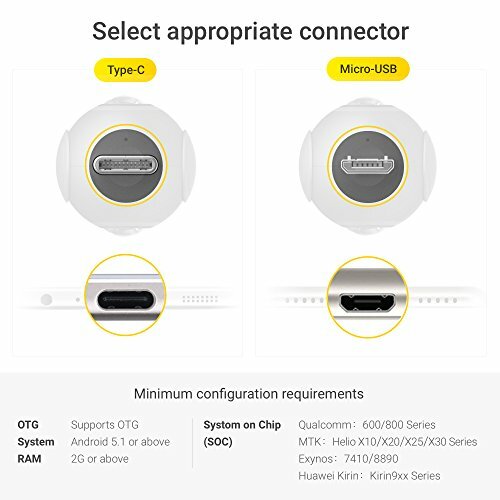 There are two models of the Insta360 Air 360 VR Video Camera, one for Mini USB (this one) and one for Type-C connectors, so make sure you get the right one for your phone. 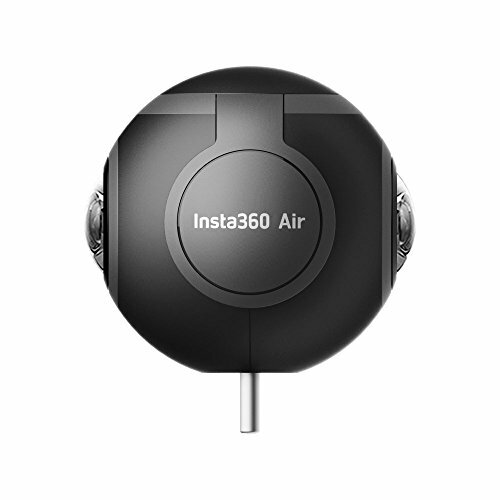 The Insta360 Nano is the iPhone version of this product. Yeah, it costs a bit more but, it's for an Apple product so you knew it would. 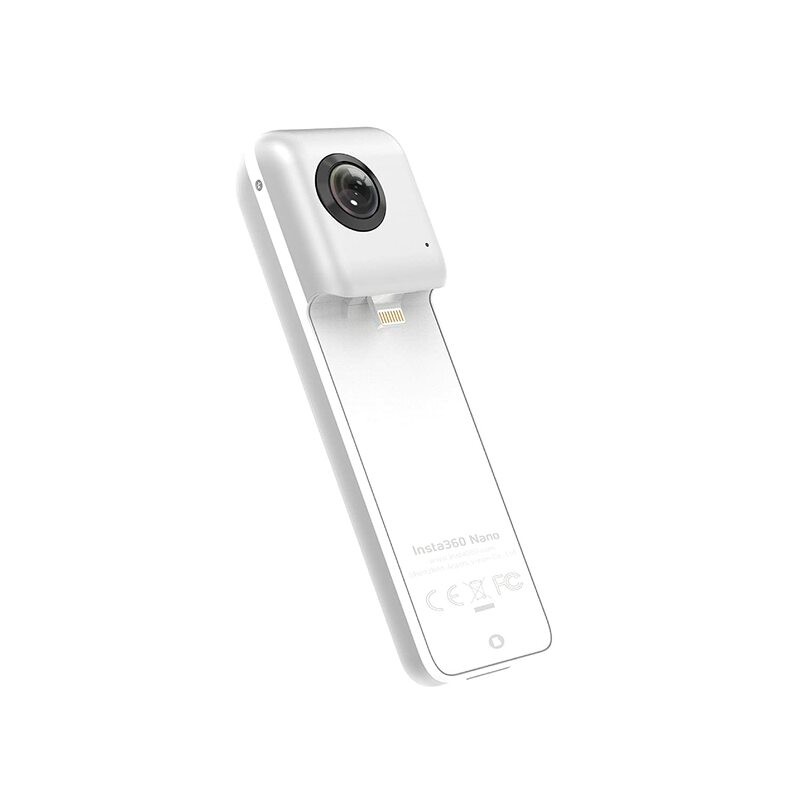 If you happen to be an iPhone owner, don’t worry, the Insta360 Nano is basically the same thing but made for iPhones. Dimensions 3.5 x 2.5 x 3.5 inches. Minimum Requirements: Android 5.1 or above and System on Chip(SOC).